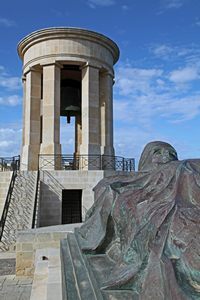 VA1 - Monument to the Unknown Soldier, Valletta: situated next to the Lower Barrakka Gardens in Valletta the belfry contains a huge bourdon bell, which was cast on February 10, 1992 by John Taylor & Co Founders of Loughborough England . 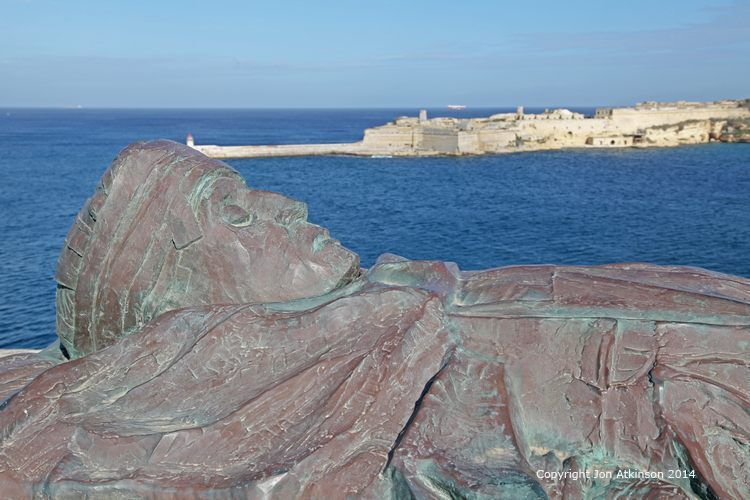 The large catafalque symbolizes the burial of the corpse of the unknown soldier at sea. 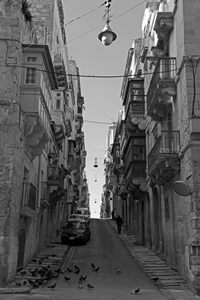 VA2 - Valletta, Malta: Valletta's streets and piazzas contain architecture ranging from early 16th century Baroque to Modernism. 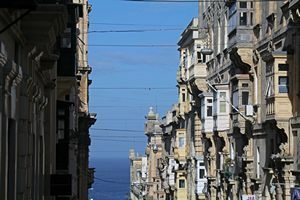 The city serves as the island's principal cultural centre and its unique collection of churches, palaces and museums attract visitors from around the world. 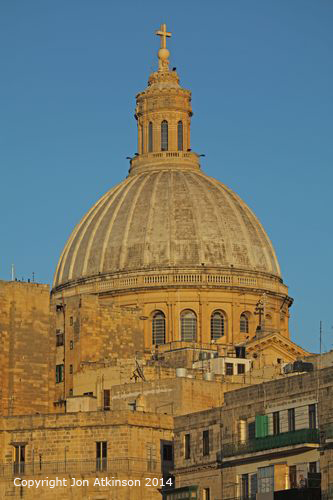 VA3 - Our Lady of Mount Carmel Church Dome, Valletta: St. Paul and Our Lady of Mount Carmel. 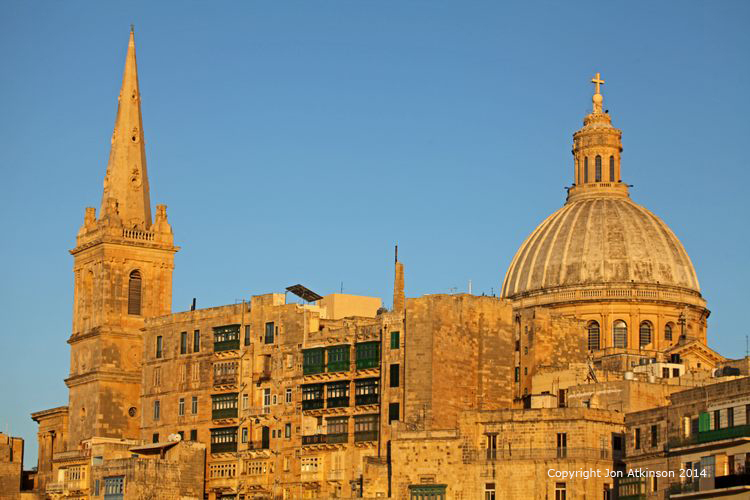 The 63-meter tall spire of St. Paul's Cathedral in Valletta blends in with the dome of Our Lady of Mount Carmel Church. 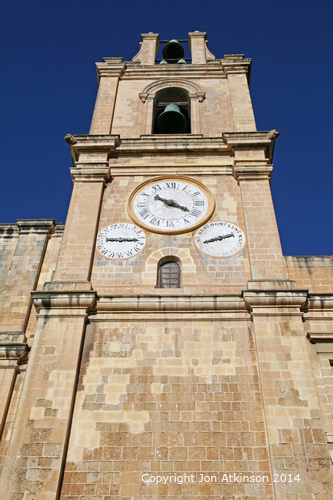 St. Paul's Anglican Cathedral, was the first Protestant church built in Malta. VA5 - St John's Cathedral, Valletta: Built by the Knights of Malta between 1573 and 1578, having been commissioned in 1572 by Grand Master Jean de la Cassière as the conventual church of the Order of the Knights Hospitaller of St John, known as the Knights of Malta. VA6 - Upper Barrakka Gardens, Valletta: One of Valletta's most beautiful parks, it was created in 1775 on the bastion of St. Peter and Paul. It was originally intended to offer recreation to the knights of the Italian langue, or department, of the Order of Saint John. 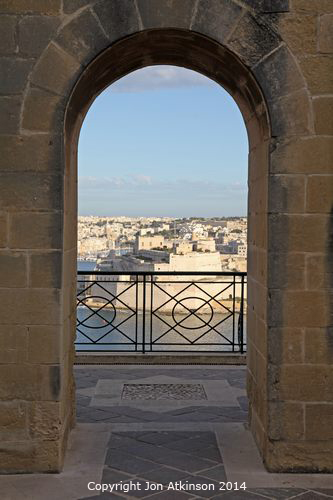 It is the highest point of the city walls, and thus its bordering terrace offers a clear view over the Grand Harbour and the old towns of Senglea and Vittoriosa, as well as over the shipyard and the lower-lying parts the capital. VA7 - Valletta, Malta: The city was named after Jean Parisot de Valette, who succeeded in defending the island from an Ottoman invasion in 1565. 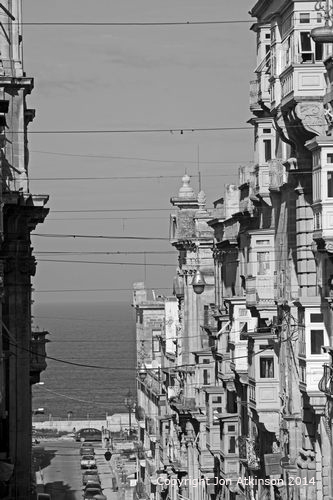 The official name given by the Order of Saint John was Humilissima Civitas Valletta — The Most Humble City of Valletta, or Città Umilissima in Italian. VA8 -Valletta, Malta: The magnificent fortress city grew on the arid rock of Mount Sceberras peninsula, which rises steeply from two deep harbours, Marsamxett and Grand Harbour. 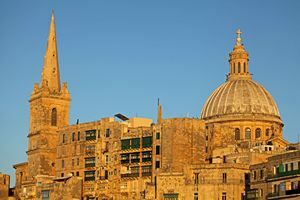 Started in 1566, Valletta was completed, with its impressive bastions, forts and cathedral, in the astonishingly short time of 15 years. 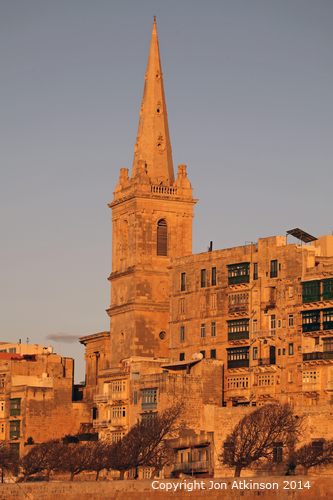 VA9 -Valletta, Malta: The city serves as the island's principal cultural centre and its unique collection of churches, palaces and museums attract visitors from around the world. 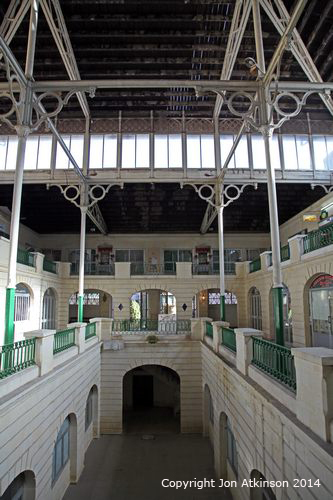 When Benjamin Disraeli, future British Prime Minister, visited the city in 1830, he described it as "a city of palaces built by gentlemen for gentlemen,". 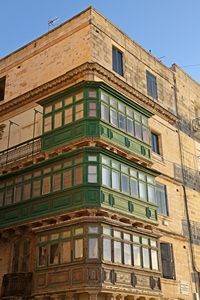 VA10 - Maltese windows, Valletta, Malta: The residential buildings in Valletta are beautiful, with their traditional closed wooden balconies. 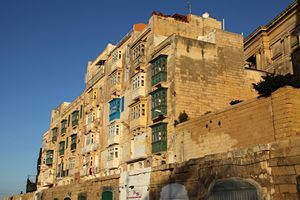 VA11 - Maltese windows, Valletta, Malta: Corner enclosed balconies on a Palazzo in Valletta, with ornate limestone corbels. 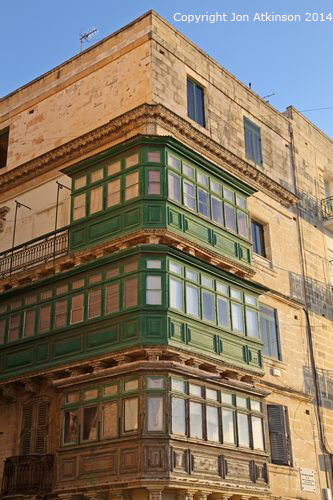 VA12 - Maltese windows, Valletta: Colourful balconies are a common feature of Malta's residential buildings - they were allegedly built so thatwomen who stayed at home could watch what was going on in the street. VA13 - Anglican Cathedral of St. Paul at Sunset: The cathedral was commissioned by the Dowager Queen Adelaide during a visit to Malta in the 19th Century when she found out that there was no place of Anglican worship on the island. The cathedral was designed by William Scamp and was built between 1839 and 1844. 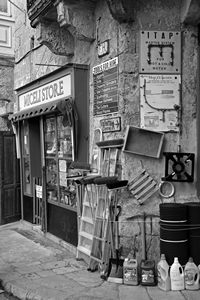 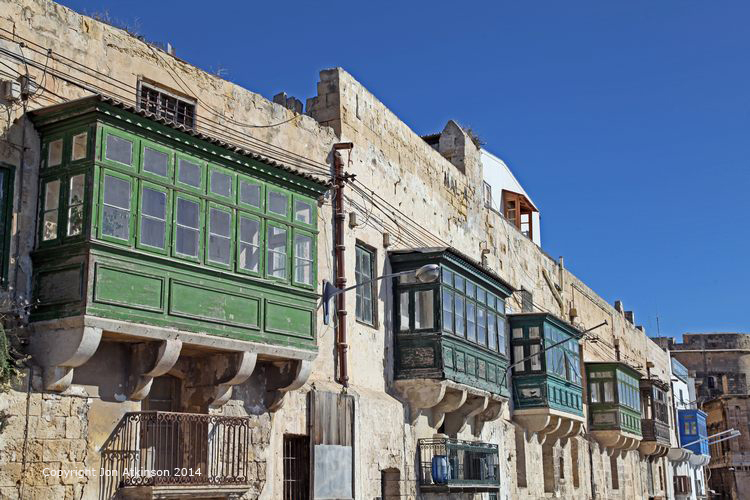 VA14 - Is-Suq tal-Belt Market: Found in a prime location in Merchants Street, the covered market is known as Is-Suq tal-Belt. It was the first building to be constructed entirely out of metal in Malta, even though pre-fabricated iron was used for the building of the Collegiate Church of St Paul in Valletta, the Naval Bakery in Vittoriosa and Corradino Prisons in Paola. 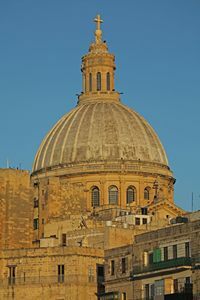 VA15 - Dome of the Carmelite Church: The skyline of Valletta is dominated by the dome of the Carmelite Church (Our Lady of Mount Carmel), which was the first functional church in Valletta. 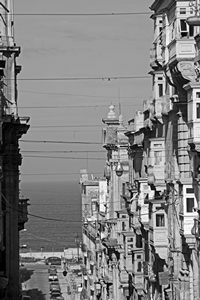 Its doors were opened in 1570, soon after the Carmolite Friars had been granted a piece of land by Grand Master Pietro del Monte. 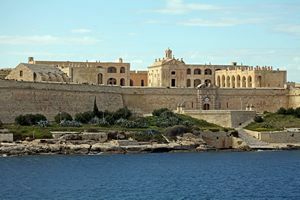 VA16 - Fort Manoel: Fort Manoel is a fortification on the island of Malta. 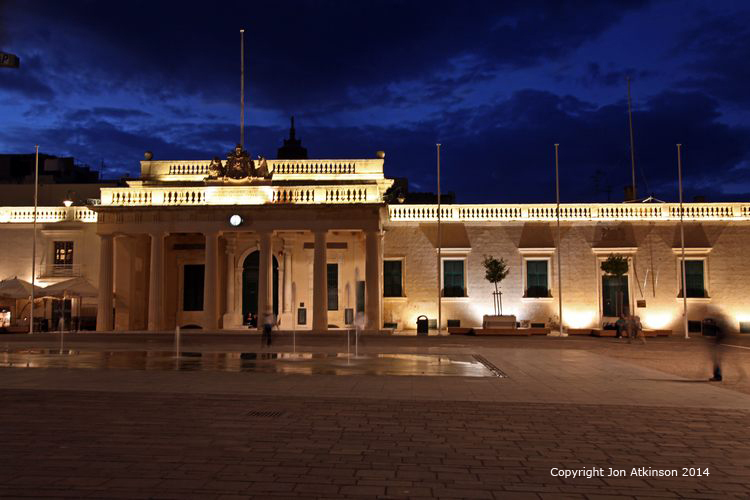 It stands on Manoel Island in Marsamxett Harbour to the north west of Valletta and commands the entrance to Marsamxett Harbour and the anchorage of Sliema Creek. Fort Manoel is a star fort, with much of its ditches and walls formed from the native rock of Manoel Island. 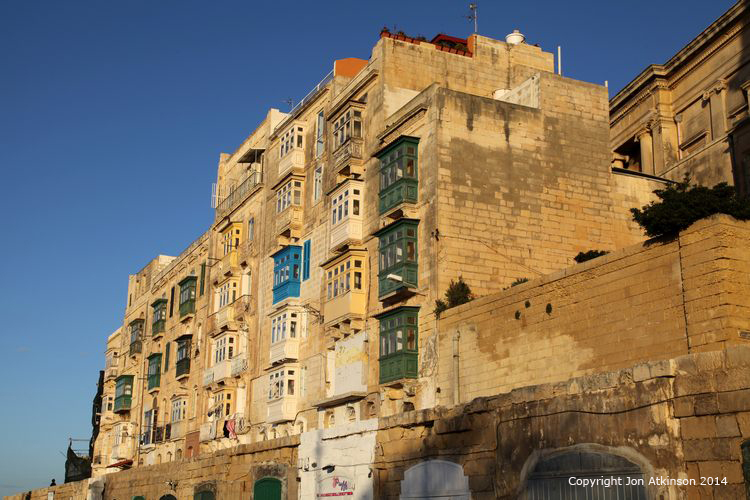 The fort was built by the Knights of Malta between 1723 and 1755, under the patronage of Portuguese Grand Master Manoel de Vilhena. 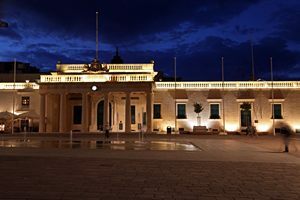 VA17 - St George's Square at Night, Valletta: St George's Square, also known as Palace Square (Misrah il-Palazz) is Valletta's largest and most prominent square, located at the very heart of the city right in front of Valletta's most magnificent palace – the Grandmasters' Palace. 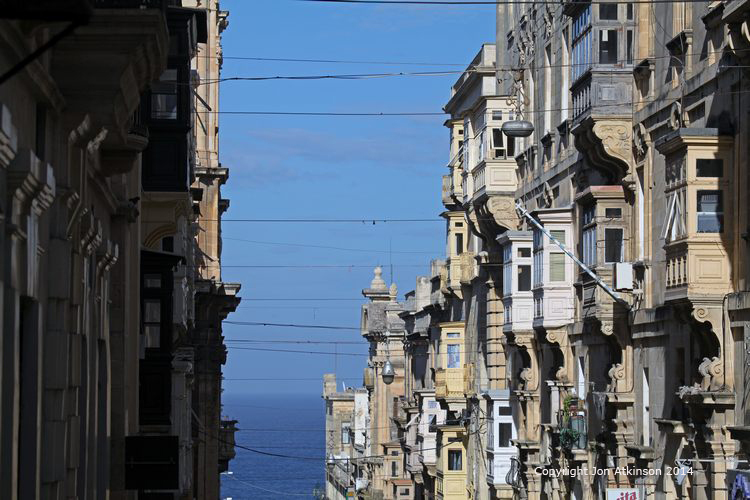 VA18 - Valletta, Malta: Built on a peninsula, Valletta is surrounded on three sides by sea (including the renowned Grand Harbour) and on all four sides by vast 16th-century bastion walls. 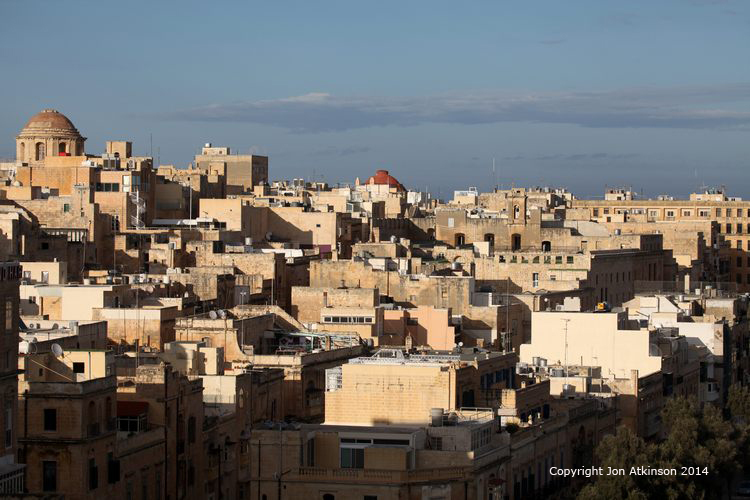 Panoramic views abound and the city is still very much the city of the Knights who built it on a barren hill following the Great Siege of 1565 in which they nearly lost Malta to the Ottoman Turks.